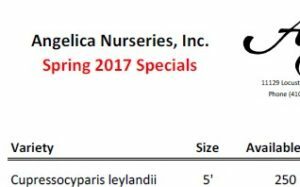 News - Angelica Nurseries, Inc. Check the downloads page for the 2017 Spring Specials List! 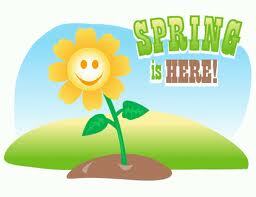 The first day of Spring is Monday, March 2, 2017. We don’t know who else is ready for it, but we sure are! 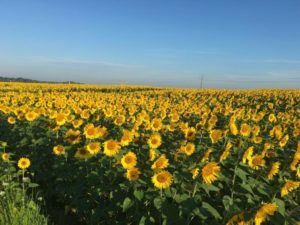 Summer 2016 Availability is now available via our downloads page. Please call with any questions! Evergreen shrubs stay green and lush year round. 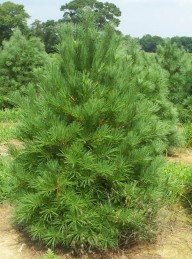 They are an excellent choice to reduce noise, hide traffic or any unsightly areas in your yard. We sell only to the wholesale trade. If you are visiting this site as a retail customer, please look around the site. It contains a lot of information about the plants we grow which you may find useful. However, we do NOT sell to the retail market and cannot respond to retail inquiries. Try our new online quote system, accessing our latest plant availability.